Here comes another bits and pieces. These are not meant to be stories in any way. Mostly this is moments of writing practice that I am using as warm ups before writing more stories. Think of it as a glimpse into the things I go through as I work toward getting more stories written for your enjoyment. And of course, I do hope that you find the vignette like pieces to be interesting. Although, I would think that would go without saying. On the first day of Autumn in the year of the Venerated Fruitbat, Hekic had been thinking. It wasn’t a normal day of thought for him. The heat waves rose heavily through the air as moisture licked away from the fabric of earth. A good day for thought, a good day for the thoughts he sifted through. But it wasn’t enough. He had traveled down the trodden path to the pond at the end of the lane. Sat at the bench he liked to sit in when he pondered his thoughts. But it didn’t feel right. Something in the air pulled at the nape of his neck, tugged at the tips of his toes. And still, he couldn’t quite get to what had been troubling him. Though he attempted to push the troubling thought aside, it niggled at the edges of his mind. Something he couldn’t lock onto with his conscious thoughts. There had been a time that something like this might have troubled him more than now. The whole of it eating away at his attention while he fought with himself to know the thought. But Hekic had learned. You can’t rush something like this, not even a little bit. There comes a time when you have to just move on to other things and hope that maybe, the thought will come into focus when you aren’t fighting for it. He sighed as he rubbed a couple sticks together on the ground. Their bark had rubbed away to expose the green wood beneath. That too had been rubbed clean in a couple parts. But the wood remained too wet to create enough friction. The sticks slid across each other without gaining any grip between them. He didn’t know why he even bothered with the attempt at fire. Waves of heat assaulted him from the edges of the willow’s shade. He had pulled the bench to this spot some time ago. 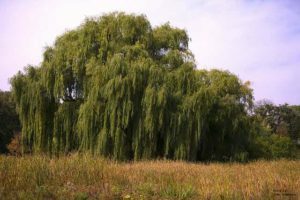 The willow created an almost sealed environment where he could find comfort from the heat or the cold.